If you work in an environment where there's exposure to flames, you could benefit from a flame resistant or fire retardant uniform. LoveToKnow spoke with Mark Saner, technical manager of Workrite Uniform Inc., about the safety that fire resistant uniforms provide and how to shop for the best one for your needs. LoveToKnow (LTK): What should you look for when purchasing flame resistant uniforms? Mark Saner (MS): First you want to make sure it is the appropriate protection level for the hazard you are protecting against. Then you want to look for uniforms that are made from fabric and garment suppliers that have a proven track record to provide consistently high quality products. The flame-resistant properties should be guaranteed for the life of the garment. Then you can look at things like styles, comfort levels, durability and price. LTK: What fields are required to wear flame resistant uniforms and which other fields would most likely benefit? MS: Workers should wear flame resistant garments anywhere there is a known hazard that could ignite clothing. Oil refineries, oil drilling, electric utilities, industrial electricians and maintenance workers and those exposed to combustible dust are a few industries where flame resistant garments should be worn. LTK: How much of a difference can flame resistant clothing make compared to other work uniforms? MS: When exposed to hazards like flash fires or electric arc flash, non-flame resistant clothing can and will catch on fire, which will significantly increase the amount of burn injury. The amount of burn injury greatly impacts the chances of survival. Flame resistant clothing in turn will either not ignite or will self extinguish once the flame source has been removed. LTK: What level of fire protection do they provide? MS: The level of protection depends on the type and weight of the fabric. Flame resistant garments are designed to provide momentary protection when accidentally exposed to a hazard like a flash fire or electric arc flash. They are not designed as primary protection against continuous thermal exposures. LTK: What is it that makes Workrite uniforms so effective? MS: Workrite has been making only flame resistant garments for over 35 years so we know what it takes to make a high quality flame resistant garment. We only work with proven fabric suppliers and use construction techniques that produce durable high quality garments designed to last. We also have a large variety of styles, colors, sizes and fabrics to meet the flame resistant market needs. 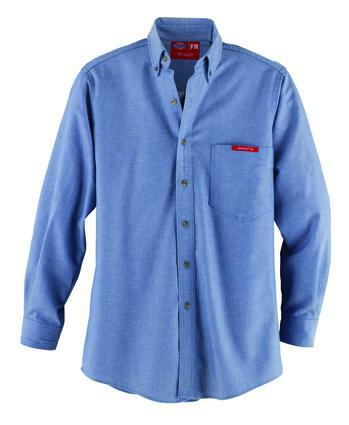 Our mission is "To be the best provider of high quality flame resistant apparel for working men and women." We are an affiliate of Williamson Dickies Mfg. Co., which is the largest workwear manufacturer in the world. LTK: What styles of uniforms are available? MS: Flame resistant uniforms come in many styles. You can get coveralls, bibs overalls, pants (twill, denim jeans, plain weave, etc. ), shirts (work shirts, dress shirts, knit henleys, knit T-shirts, etc. ), jackets, sweatshirts, hi-visibility, rainwear, etc. LTK: Are there different materials or styles based on environment or weather? MS: Flame resistant garments come in lighter weight fabric for hotter conditions as well as heavier weight fabric for cooler conditions. The first thing to look at is the protection level required, then you can look for those garments that are appropriate for that hazard. In terms of environment or weather considerations, you can get flame resistant that is insulated for cold and water resistant for rain. Some jackets and sweatshirts have hoods and some wearers layer coveralls over flame resistant shirts and pants. LTK: How breathable are the uniforms? MS: We carry a variety of fabrics from 100% flame resistant cotton to 88%/12% flame resistant cotton nylon blends to Nomex IIIA to Protera, etc., in a variety of fabric weights. Different fabric weights, fiber blends and weaves provide different comfort characteristics. Things like weight, air permeability and wicking all play a role in how the fabric reacts in hot, humid conditions. Comfort is often different for different wearers and different environmental conditions. Having employees actually wear trial garments will best determine which works best for them and [their] conditions. Studies have shown that in very hot, humid conditions, the garment itself has less to do with a wearer's potential for heat stress. The key to heat stress control is to provide regular rest breaks, adequate hydration and get out of the sun. LTK: How do you care for flame resistant uniforms? MS: Generally, flame resistant clothing can be washed just like regularly work clothing with the exception of not using things like chlorine bleach or hydrogen peroxide. Normal laundry detergents work fine but softeners and starches should not be used as they can leave residue which might be flammable. Following the washing instructions on the garment is important. LTK: How much does a flame resistant uniform usually cost? MS: The cost of flame resistant garments can range greatly depending on factors like fabric type, style, size and protection level. It also depends on the quality of the garment construction and the wear life of the fabric. A lower quality garment and fabric may be lower when initially purchased but may actually cost more in the long run as they will need to be replaced much sooner. A coverall, for example, could cost from $70 to $170 and could range from an average wear life of 18 months for the $70 one to five years for the $170 one. Flame resistant uniforms make a wise investment if you or your employees are exposed to flames on the job. With so many styles and fabrics available, there is a comfortable option for everyone who needs the additional protection. Special thanks to Mark Saner for taking the time out of his busy schedule to speak with LoveToKnow.